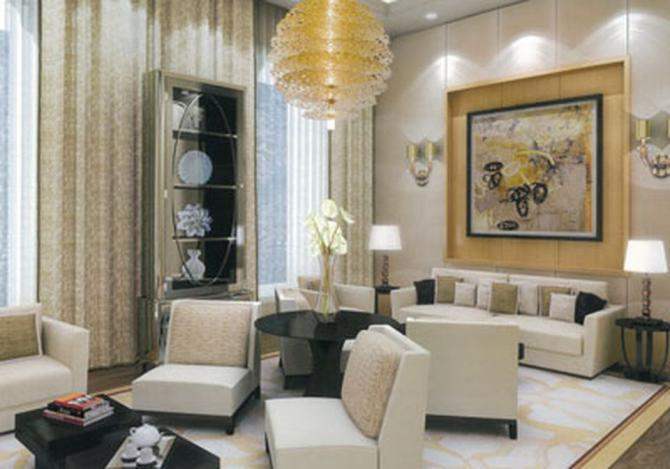 As rightly described by Mrs Nita Ambani, Antilia is the quintessential example of a “modern home with an Indian heart”. World’s second most expensive private residential property, Antilia is named after the mythic island ‘Antillia’ and is owned by one of the richest men in Asia and the eighteenth richest man of the world, Mukesh Ambani. 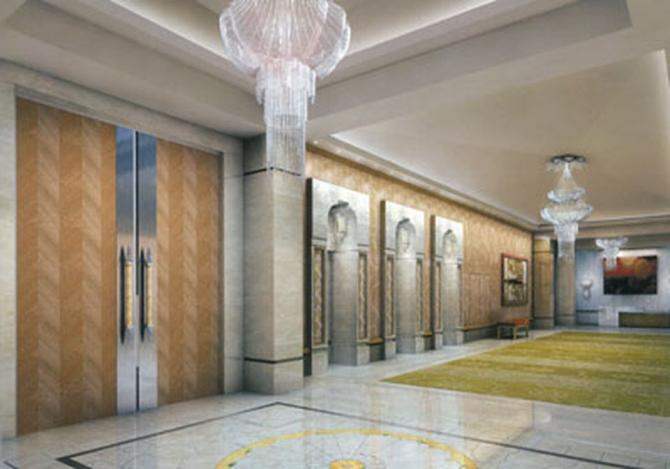 Mukesh Ambani along with his wife, Nita Ambani and children, Anant Ambani, Akash Ambani and Isha Ambani lived in their palatial abode, Antilia which is located in South Mumbai’s Altamount Road. Now, after the wedding, Isha has shifted to her house. Antilia is estimated to be the world’s second most expensive property after London’s prestigious Buckingham Palace. 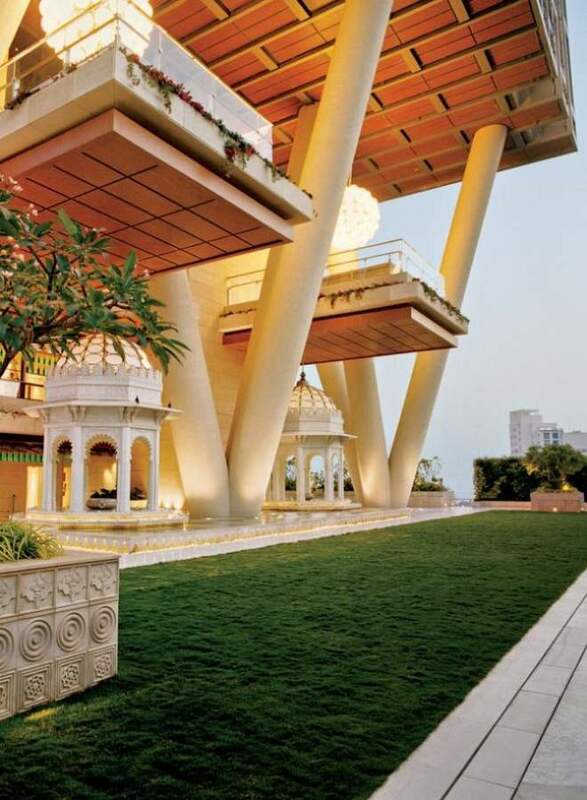 Mukesh and Nita’s heavenly mansion costs an estimated $1-2 billion. World’s renowned business tycoon, Mukesh Ambani’s breathtaking 27-storey skyscraper reaches 570 feet with over 400,000 square feet of interior space against the Mumbai skyline. Let us take you to the tour and some interesting facts about the world’s first billion-dollar home. Antilia, the finest form of architecture, is designed by Chicago-based architects Perkins and Will, and an Australian-based construction company, Leighton Holdings took the charge of its construction. Every floor of the building is the same height of an average 2-storey building which gives the feel of a 40-storey building. The architectural design of Antilia makes it strong enough to survive an earthquake of 8 on the Richter scale. 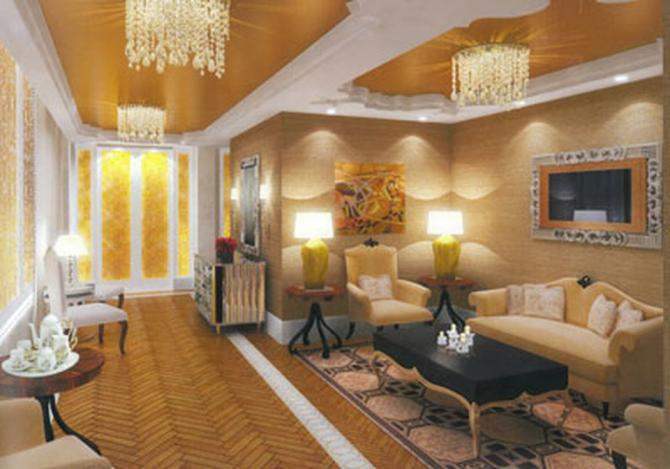 The architectural design is based on lotus and sun and the top six floors of Ambani’s home have been set aside as the private full-floor residential area. 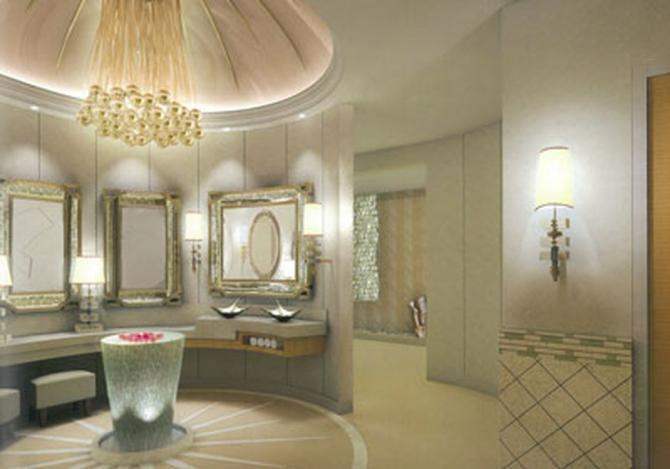 Antilia comes with a mega-temple, a host of guest suites, lounges, a salon, an ice-cream parlour and a private movie theatre to accommodate 50 people. 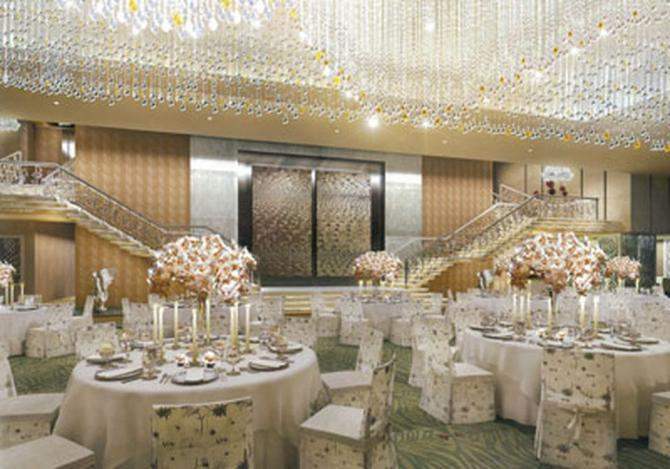 The Antilia ballroom is designed in an open layout with a two-story roof and the most astonishing features of the ballroom are the crystal chandeliers that takes up approximately 80% of the ceiling. A kitchen, almost the size of the ballroom, can serve hundreds of guests. The ballroom also has a stage for entertainment purpose or speeches, the silver staircase leads to the central landing behind which the two retractable doors open to the display works of art. The top floor of Antilia includes a covered and an outdoor entertaining space with the panoramic views of the Mumbai skyline as well as the Arabian Sea. 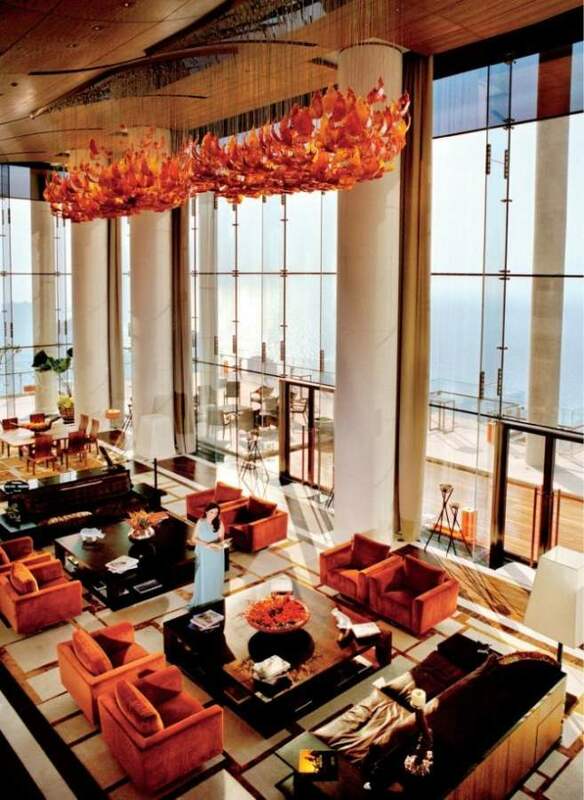 The most jaw-dropping feature of Antilia is that it has three helipads on the terrace along with an air space floor. 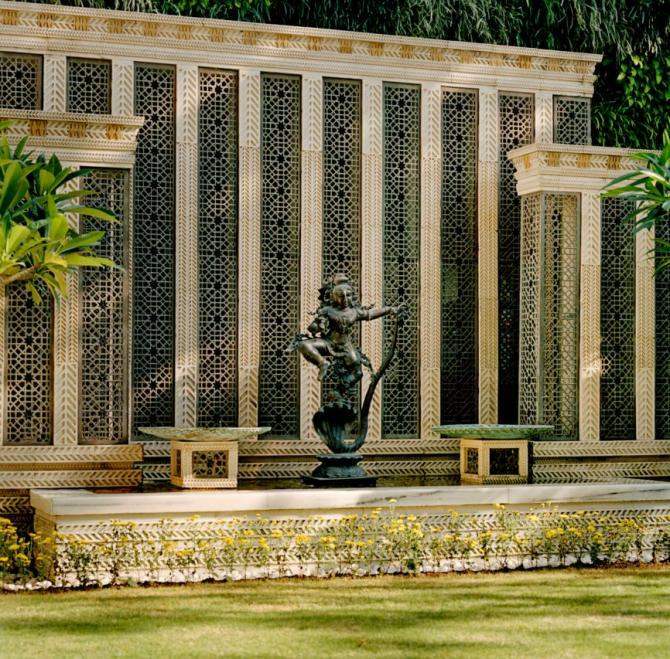 This house of Mukesh Ambani has a 4-storey open atrium of gardens, flowers and lawns. The environment-friendly garden includes the hanging hydroponic plants and the fixed trees which are energy-saving devices. They absorb the sunlight and in turn keep the indoors cool in summers and warm in winters. These hydroponically grown plants limit the need for air-conditioning. 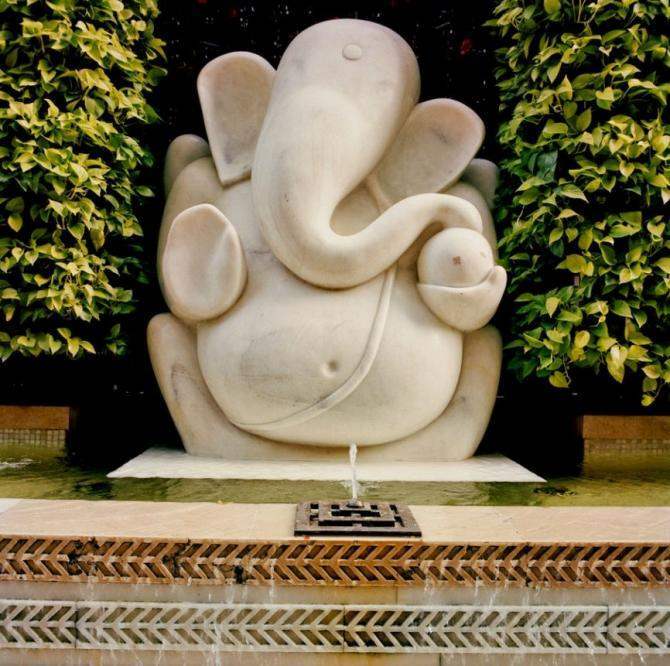 Antilia also has a huge temple and has large statues of Hindu gods Ganesha and Shiva. 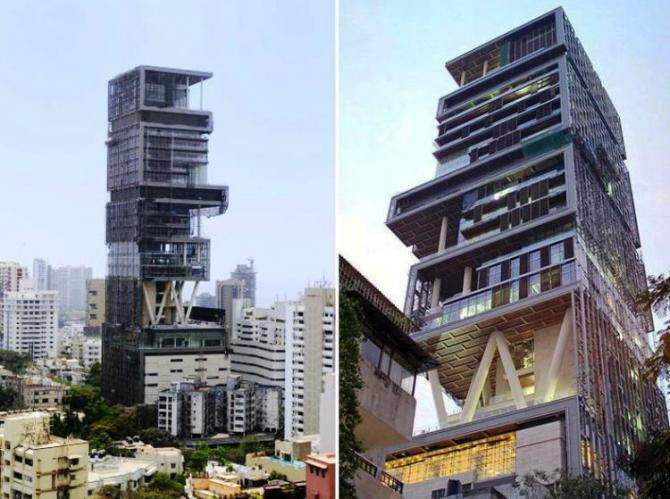 No two floors in Antilia are the same. Well, this was the most luxurious house in India.